THERALINE MATERNITY PILLOW REVIEW & GIVEAWAY! If there's one part of pregnancy that is a struggle, it's getting a good nights sleep. I'm half way through my second pregnancy and I don't know if being active with a toddler is taking it's toll on my body more, or if I have just forgotten how difficult it was to get comfortable in an evening. Either way, my sleep is poor! One thing I absolutely swear by, and has literally been a life changer, is a maternity pillow. 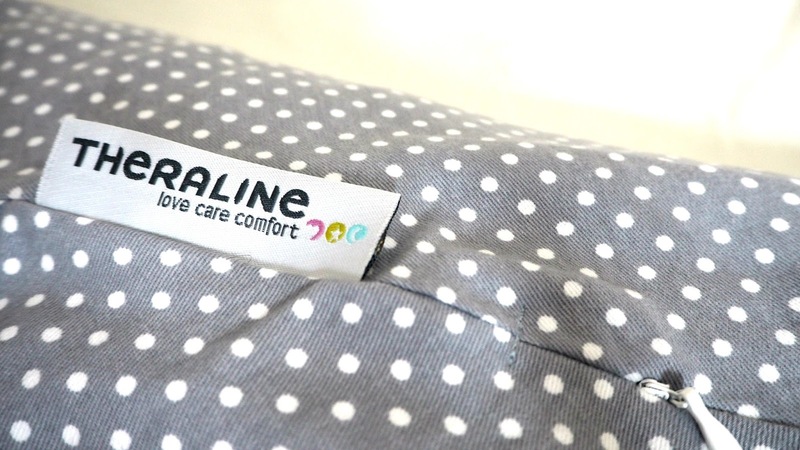 I've teamed up with the lovely people at Theraline to not only review their Original Maternity and Nursing Pillow, but also to give one away too! I mean, how exciting is that? The Original Maternity and Nursing Pillow is award winning, and claims to be the most comfortable pillow for pregancy and breastfeeding, and I completely see why! It's 190cm in length and as you can see, supports me from head to toe. Before using this, I was sleeping with around 4 pillow in total just to try and get comfortable, and now I literally only have to use this to get a full nights sleep. The microbeading, sand like filling means you can mould it to fit your body, making you feel practically weightless... which says a lot when you're carrying a bambino! You can mould it to your body which means that no matter what position your in, you feel blissfully comfortable. The pillow comes in over 40 different designs and colours, meaning you've got one to suit every style! I have mine in 'Dots Grey' and I just love it. I honestly can't say enough about this pillow, it's completely changed the way I sleep at night and in turn, makes me feel so much better throughout the day. 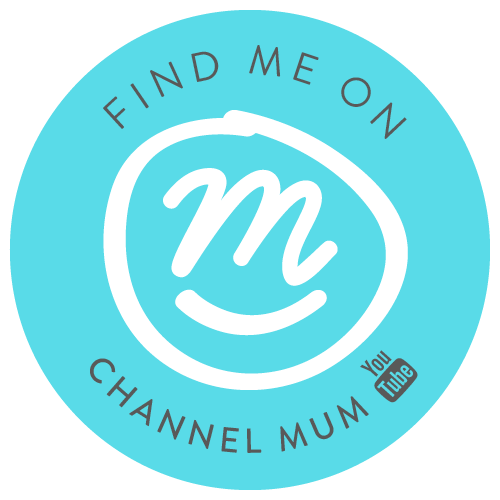 I have one Original Maternity and Nursing Pillow to give away to one of you lovely readers, all you have to do is fill in the Rafflecopter form below and the winner will be announced on Friday 9th December.